Enjoy the great outdoors this week with festivals, late night events and a new one-of-a-kind treetop adventure. If all that exploring makes you hungry, grab a classic Hoosier meal along the Tenderloin Trail in celebration of #TenderloinTuesdays. Be sure to check out our online calendar for even more Hamilton County happenings! 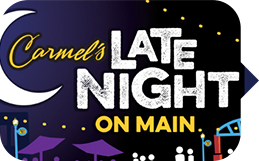 Join us on Main Street as we welcome mayors from all over the country visiting the Carmel Arts & Design District with a special late night street party. Live music begins at 9 p.m. and entertainment continues until midnight. Many shops, galleries and restaurants will be open late. 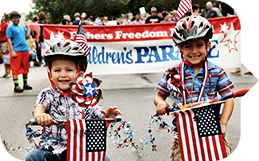 The annual Fishers Freedom Festival will be at the Roy G. Holland Memorial Park off Holland Drive & Ellipse Parkway in Fishers. This free event offers fine arts & crafts, food & business vendors, live music, 5K walk/run, K-9 demonstrations, children&apos;s tent, teen area, street dance, children&apos;s parade, main parade, fireworks and much more. 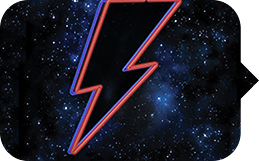 Celebrated by critics, musicians and fans worldwide, David Bowie sold an estimated 140 million records and produced eleven chart-topping albums in a career that spanned over five decades. Come pay tribute to him at Symphony on the Prairie this weekend! Come out this summer with your family and friends to enjoy a free, relaxing evening under the stars to watch a good movie with good company! We encourage you to bring blankets, chairs, snacks and flashlights! Kona Ice will be selling cool treats onsite. 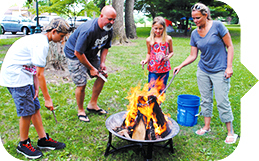 Join Noblesville Parks as we celebrate the outdoors and the National Wildlife Federation with the Great American Campout. 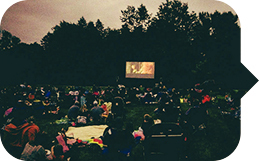 Families will engage in programming and hikes throughout the evening then stay in tents in Forest Park. Celebrate the tenderloin this summer by going to a participating restaurant on Tuesdays to take advantage of specials for this Hoosier food! 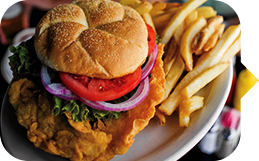 Don&apos;t miss Tenderloin Tuesdays running June 28 and July 5, 12, 19 and 26. View the website for specials from participating Tenderloin Trail locations.